It's not always easy to know if you've chosen the right colors for your home by looking at those small samples that are sitting in front of you. 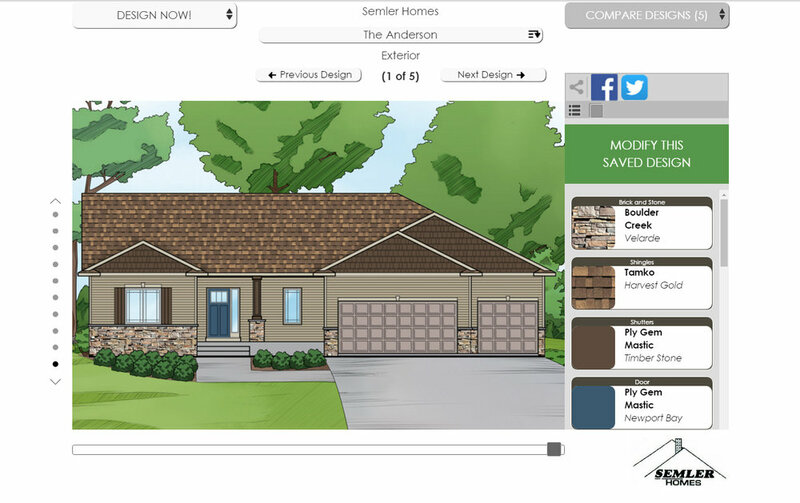 With Semler Constructions Home Visualizer, you can experiment with dozens of colors and styles on our most popular models to help you make a decision on what exterior would look best for your new home! DISCLAIMER: By utilizing Semler Constructions Home Visualizer by Your Personal Designer, you acknowledge that this program is for informative use only. Color swatches and styles may appear differently on different mediums and are subject to change. You agree to take full responsibility for all personal designs and will hold Semler Construction and its agents harmless for any color misrepresentation.